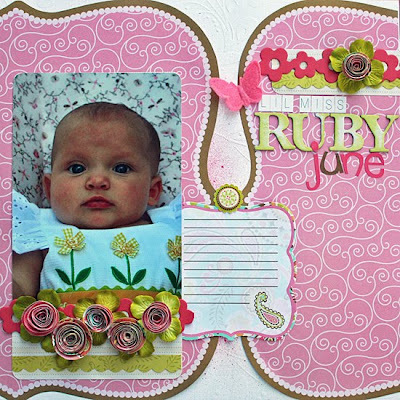 The first two layouts are of our twin neice and nephew, Ruby June and Henry Paul. This paper line worked awesome for baby layouts and I left the journaling blocks blank so their mom can fill them in. Below is my last layout with the kit. 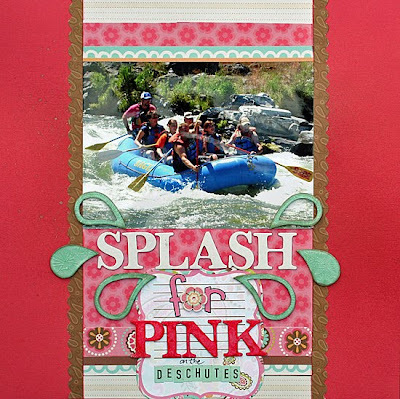 I was able to accent my Splash for Pink rafting photo nicely with the pink papers! I used the paisley's from the kit as splashes and covered them with crackle glaze to give them texture. Loving all of the adorable baby layouts you made this month!! And the creative touches on the rafting layout is awesome!! These are just gorgeous layouts!!! With Good Content - And Subscribers... You can do really well. Phillip said you were a very talented scrapbooker! I love all your layouts. I acually signed up for a card making clast tomorrow night, Im excited about it!